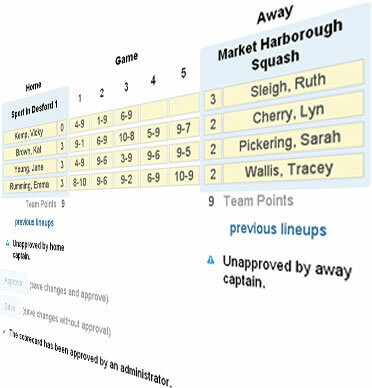 Do you organise a squash league and need an easily updateable website for your fixtures and results? We make both of these quickly accessible to players and easily manageable by you. Put your feet up! 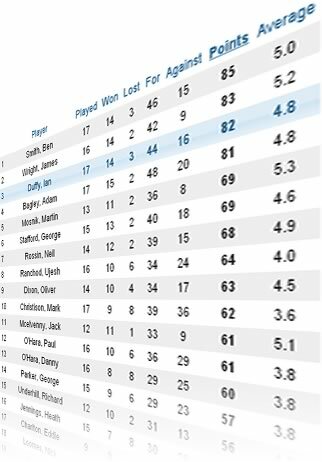 - let captains and players update their own scores, with immediate and automatic updating of league tables and player rankings. Everything is done via your web browser, so you can use any computer, smartphone, etc. 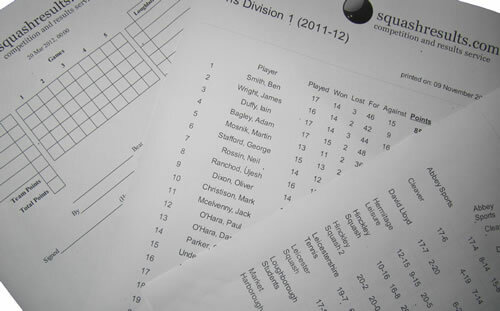 We also provide print firendy formats of your scorecards, league tables, etc. It's free to try and totally free for small competitions, otherwise there is a very reasonable per-competition fee. There are no subscriptions, no recurring fees and no up-front costs. Run as many competitions as you like. Try It > Click the features listed on the left to learn more or jump straight in! Set up a league: select number of divisions, scoring type, etc. Then let players or team captains input their own results. 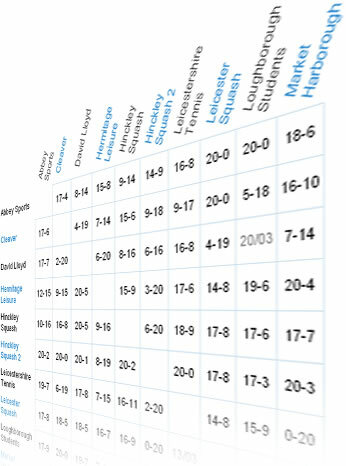 Watch as league tables and rankings are automatically updated. Login anytime and anywhere to manage your competitions. We've made it easy for your players to see the essential information they need: see all matches in a fixture matrix or just for a single team or player. Plus there is more detailed information to browse at leisure, like player rankings and historical data. Team captains can fill out scorecards online. With a smartphone or tablet you could even do it whilst you are at the match and do away with paper scorecards. There is an approval system so only when both captains approve the scorecard are the results used to update the league table and player rankings. As soon as any new match scores are available then the league table and player stats are automatically updated. How are you doing? 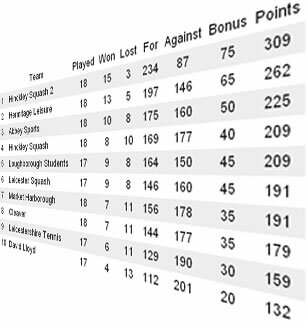 See rankings by total points, match average, matches won, etc. We have print friendly versions of the online data. So you can take printed scorecards to matches and print schedules and league tables for your notice board. Want to see the management screens in action? Feel free to give it a try by setting up your own competition - it's free! With a site account you will be able to manage your own competitions. 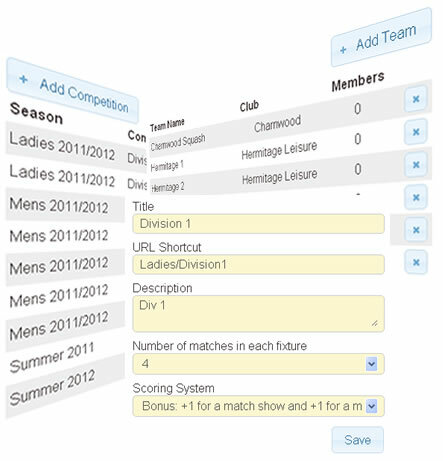 Give the name that you want your club or organisation to be known by on SquashResults.com. Give a vaild email address and make up a password, you will need these to login in the future.